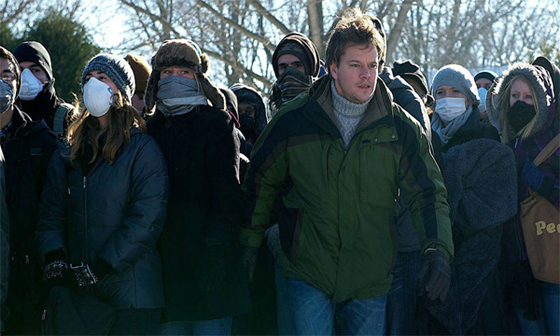 Warner Bros. Release 2 New TV Spots for Steven Soderbergh's Viral Thriller 'CONTAGION'! Warner Bros. have released two TV spots for Steven Soderbergh's viral thriller Contagion. The movie follows the rapid progress of a lethal airborne virus that kills within days. As the fast-moving epidemic grows, the worldwide medical community races to find a cure and control the panic that spreads faster than the virus itself. The movie stars Marion Cotillard, Matt Damon, Laurence Fishburne, Jude Law, Gwyneth Paltrow, Kate Winslet & hits IMAX & conventional theaters this September 9th. Hit the jump to check them out. I'm reading: Warner Bros. Release 2 New TV Spots for Steven Soderbergh's Viral Thriller 'CONTAGION'!Tweet this!